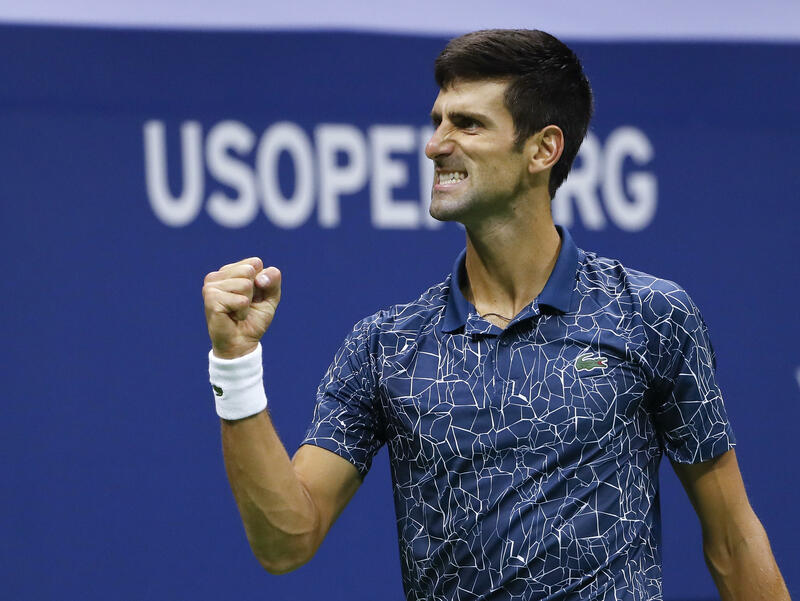 NEW YORK — Novak Djokovic won his 14th Grand Slam title and second in a row by getting through a key 20-minute game to beat 2009 champion Juan Martin del Potro 6-3, 7-6 (4), 6-3 in the U.S. Open final. The victory Sunday comes a year after Djokovic sat out the tournament at Flushing Meadows because of an injured right elbow that eventually required surgery. The 31-year-old Serb is now even with Pete Sampras for the third-most major trophies for a man in tennis history, trailing only Roger Federer's 20 and Rafael Nadal's 17. On Saturday, Naomi Osaka took home the women's singles title after defeating Serena Williams 6-2-, 6-4, in a highly contentious match.